Although DB and I haven't managed to get away properly for some time, due to the pressures of work and finances, we had a very brief trip to Melbourne just after New Year for a dear friend's birthday - which, because we flew, offered me an opportunity to shop in the airport bookshops. I have no idea what it is about airport bookshops over regular ones. They abound in bestsellers and pot boilers, obviously, and yet I nearly always manage to find an unexpected gem. 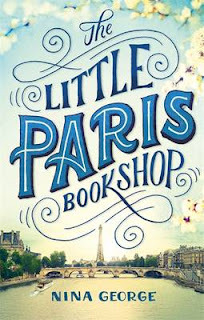 The Little Paris Bookshop was one of those gems. I, wrongly, assumed from the blurb, that it was just going to be one of those easy, pleasant reads that I'd enjoy on the plane, and then pass on to the next person looking for something new to read. It didn't take very long before I realised I had an unexpected treasure in my hands, and to slow down and enjoy, rather than gobble it up...! 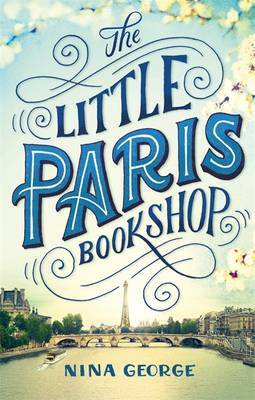 The central character, Jean Perdu, runs a bookshop on a restored barge on the River Seine in Paris called the Literary Apothecary. Gifted with a sense that understands which books will soothe the souls of his customers, Jean, more often than not, refuses to sell particular books, suggesting alternatives instead, that will heal them rather than contribute to their angst. Unfortunately, he can't seem to do that for himself, and is emotionally crippled from the loss of his great love when she left him to return to her husband. It's been twenty years since she left, and his life has shrunk to the barge and his apartment - stripped of everything but the barest necessities, and with the room where she told him she'd be leaving sealed up. Forced, when his concierge prevails on him to assist a fellow tenant refurnish after her marriage breakup, to reopen the room and extract the table his neighbour needs, he rediscovers the letter Manon left him that he never opened. In his pain and rage at her departure, he shoved it in a drawer of the table, refusing to read it, assuming that it was a missive of 'typical' excuses and pleas for friendship after the relationship... He couldn't have been more wrong. Manon, by the time he reads the letter, has been dead for twenty years. She was dying when she left him, but in the letter begs him - as she couldn't to his face - to come to her before she dies, and tells him that her husband knows and is prepared for him to come. The book is a story of intensely personal journeys, growth that comes from embracing the pain and challenges of life rather than running from them, and the joy that can come from the unexpected. Haunted by Manon's loss, Jean's life has all but stopped for twenty years at the point where he finally reads her letter. His flight from what his life had become to the unpredictable life that grows on Frances waterways in close companionship with the other two men exposes him not only to their vulnerabilities and flaws, but to his own. He is forced to acknowledge that much of what his life became after Manon was not, in fact, due to her desertion, but to his own response, and what that means for him in terms of honouring her memory and beginning to live again. While the overall idea that runs through the book is simple - it's very much a story of redemption - the details are complex and unexpected. Writing a full review and explaining what happens would result in a condensed version of the novel if I were to attempt to not create untold confusion, and that would mean far too many spoilers. There is nothing maudlin or mawkish about the narrative, rather it is refreshing and quirky, with much that is amusing. I hope that what I have set out in this post is enough to entice people to give the book a go - especially if heading away from home, as it's the perfect book to enjoy on a break.